This bipolar NYC/East Coast weather has been having my skin in a frenzy this past winter season. I’ve searched high and low for products to save my skin from the current state of hell that it is in. I’ve looked into everything from moisturizers to eye creams to help my skin recover. After weeks of no solution to these annoying dry patches on my usually oily skin, I resorted to Korean Sheet Masks as the answer to all of my woes.I read up on Korean Sheets masks once or twice before. While on vacation, I ended up in a Downtown LA beauty wholesale wholesale store that carried TONS of Korean skincare. As soon as I walked through door (which was wide open, SCREAMING “come in”), I saw all these sheets masks that promoted all these wonderful skin benefits. I was definitely in need so i gravitated right towards the brightly colored display. I literally felt like I just died and went to Korean Skin Care heaven. Korean’s are said to be the GOAT (greatest of all time) when it comes down to skincare. Their products, specifically sheet masks, are loaded with extracts from plants and other natural ingredients, without the presence of parabens, mineral oil and other not so great stuff. I chose a few different masks based on some ongoing concerns that I usually battle with. The masks are SUPER saturated, much more than any other sheet mask I have ever tried from Target or Sephora. They were cold af. I really hate having anything cold touching my body unless it’s 100 Degrees and sunny outside. Most of the words on the packaging, of course, we’re in Korean. However there were brief instructions and descriptions of what the masks do in English. Every now and again I find products that I see a noticeable difference in my skin within just one use. Korean sheet masks now being one on that list. It’s recommended to use them a few times a week, but I’d definitely stretch to do them everyday if i have the time and the supply. 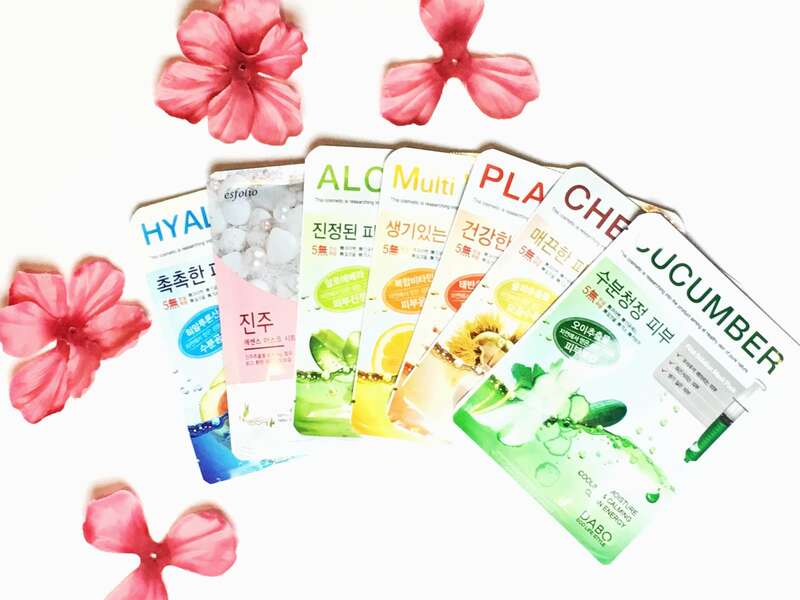 If you haven’t tried Korean Sheet Masks yet, I definitely recommend that you do. You absolutely won’t regret it.